Building mutually beneficial partnerships with West Coast horticultural groups and public gardens. The Affiliated Member Organization (AMO) program recognizes the importance of the prominent role each organization plays within its own community and works to cross-pollinate and connect them to the greater Western region and to each other. To find out more about how your organization can benefit from becoming an AMO contact Pamela Berstler at pamelab@pacifichorticulture.org. We are delighted to announce the forging of new partnerships with six premier horticultural organizations through our AMO Program. The Southern California Horticultural Society (SCHS) meets the second Thursday evening of every month.Their varied speakers and events offer something of interest for every kind of gardening enthusiast.In addition to SCHS meetings, the group sponsors field trips like their tour of hidden horticultural gems in Somis coming up in June. SCHS also hosts”Coffee-In-The-Garden” events, informal weekend gatherings (with coffee and treats) at private gardens and specialty nurseries that are not generally open to the public. Guests are welcome, or you can avoid entry fees by becoming a member. SCHS aims to be a place “Where passionate gardeners meet to share knowledge and learn from each other.” For a full listing of upcoming events, please visit www.socalhort.org. With 2,143 plant species, San Diego County has more endemic species of plants than any county in the contiguous United States. The San Diego Horticultural Society (SDHS) is dedicated to educating residents about gardening in San Diego’s rich and diverse horticulture environment with many microclimates ranging from desert to mountain to wetland. Since 1994, their mission has been to inspire and educate the people of SanDiego County to grow and enjoy plants, and to create beautiful, environmentally responsible gardens and landscapes. Learn more about upcoming events and garden tours at www.sdhort.org. Founded in 1963, the Western Horticultural Society (WHS) is made up of horticulturists, botanists, landscape designers and architects, nursery people, students, and avid gardeners. JoinWHS for monthly programs designed to inform, educate, and inspire the dedicated plant lover; held 9x/year in Los Altos, CA. Each monthly program includes: presentation by a guest horticultural specialist, member-led discussion and demonstration of unusual plants, sale of diverse plant varieties donated by members and local nurseries. In May you can learn about Agrihoods, a new type of community developed around growing food for yourself and your neighbors. Learn more at www.westernhort.org. The mission of the Hardy Plant Society of Oregon (HPSO) is to nurture the gardening community and make the world a better place through horticulture. Founded in 1984 to serve Oregon and Southwest Washington, HPSO promotes education about a wide range of plants, garden design, and gardening techniques. They sponsor workshops, lectures, study weekends, classes, publications, book sales, plant and garden art sales (Hortlandia in spring and Plantfest in fall), trips and tours. Gardening enthusiasts from all over the Pacific Northwest will gather in Portland in June for the Hardy Plant Study Weekend: Gardening Reimagined. Learn more at www.hardyplantsociety.org. The California Horticultural Society is an educational, non-profit organization dedicated to bringing together gardeners and garden professionals to share experiences. Its mission is to provide educational opportunities for California gardeners and horticulturalists. 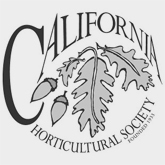 Affectionately known as ‘Cal Hort‘ to its members, the Society is the oldest association of its kind in California. In the winter of 1932-33, an unusually frigid air mass withered gardens in the greater San Francisco Bay Area. A small group of concerned gardeners met to compare plant survival information, and they became the nucleus of the present Society. Learn more at www.calhortsociety.org. contact Pamela Berstler at pamelab@pacifichorticulture.org.